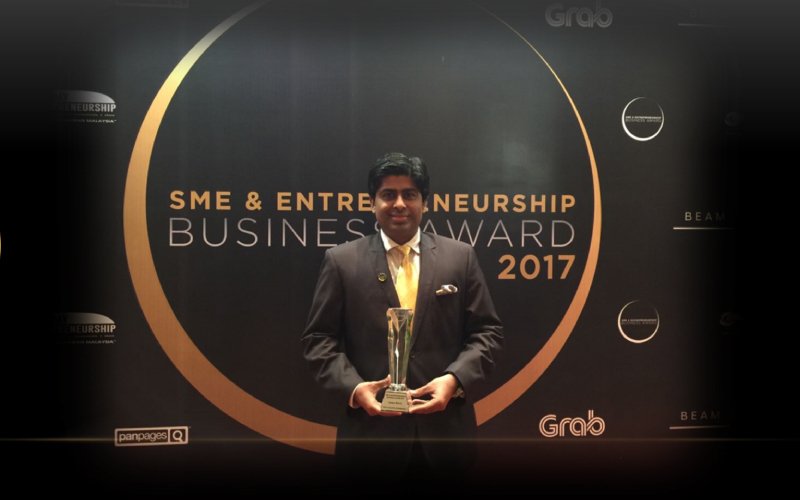 January 18th 2017, The SME & Entrepreneurship Business Award 2017 opened its doors on recognition night at the JW Marriott Hotel, Kuala Lumpur. The prestigious event was officiated by YB Dato’ Sri Richard Riot Anak Jaem, Minister of Human Resources, Malaysia and organised by Yayasan Usahawan Malaysia, or MyPreneurship, founded by Nitesh Malani. The Ultimate Business Recognition & Achievement Awards known as “The Oscar for Companies” aims at validating eﬀorts of key entrepreneurs that play instrumental role of bridging the national and global business barriers, whether they are long established, highly successful or new start-ups. Companies that serve as an instrument to promote healthy competition and positive collaboration help market expectations set stringent standards of quality and empowerment in alignment with a mission to spur growth by nurturing the entrepreneurial spirit. Jay Bavisi – CEO, EC-Council Group and Chairman of the Board, EC-Council University, was announced winner of the Outstanding Global Influencer 2017 Award. We are pleased and honored to be receiving such recognition and we would like to thank MyPreneurship (Entrepreneurship Foundation Malaysia) initiative together with the esteemed board of advisors for acknowledging our President’s work worldwide. In total 10 top entrepreneurs were honored with the SME & Entrepreneurship Business Awards including the CEO of AirAsia Group, Tan Sri Dr. Tony Fernandes, among others. 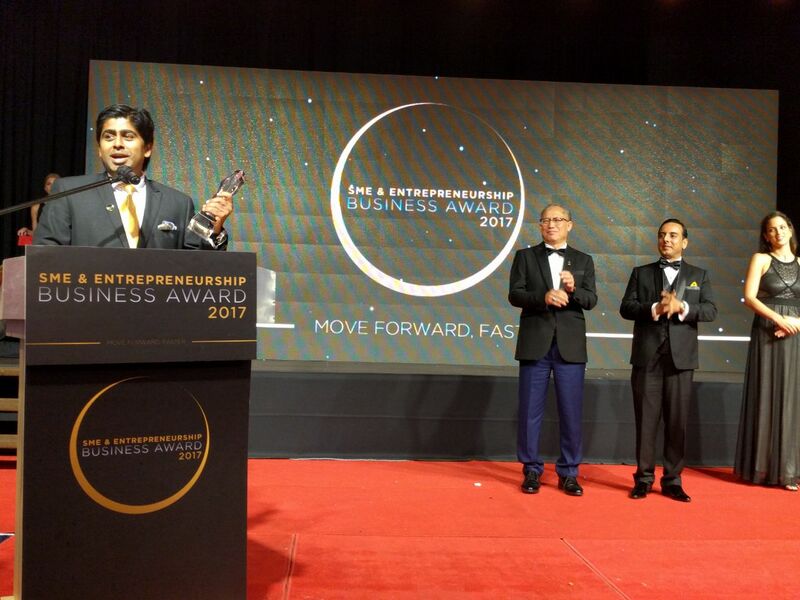 The Entrepreneurship Foundation of Malaysia has played a pivotal role in shaping the business community in Malaysia and we are confident that via these awards, many current and aspiring entrepreneurs will be encouraged to take step forward in making Malaysia a proud nation and a hub of global initiatives. At EC-Council we believe in making the world a better and safer place by helping nurturing and up-skiling cyber security professionals and providing end to end cyber security advisory and solutions. EC-Council is a member-based organization that certifies individuals in various cyber security skills. We are the owners and creators of the world famous Certified Ethical Hacker (CEH), Computer Hacking Forensics Investigator (CHFI) and Certified Security Analyst (ECSA)/License Penetration Tester (LPT) certifications and as well as many others certifications. Our work aims not only at professional Training & Certification but also at educating and promoting cyber-safe initiatives by increasing cyber-security awareness across the world. More than 700 partners and 350 subject matter experts in 145 countries worldwide work closely with us to help deliver the vision of a secure digital environment.